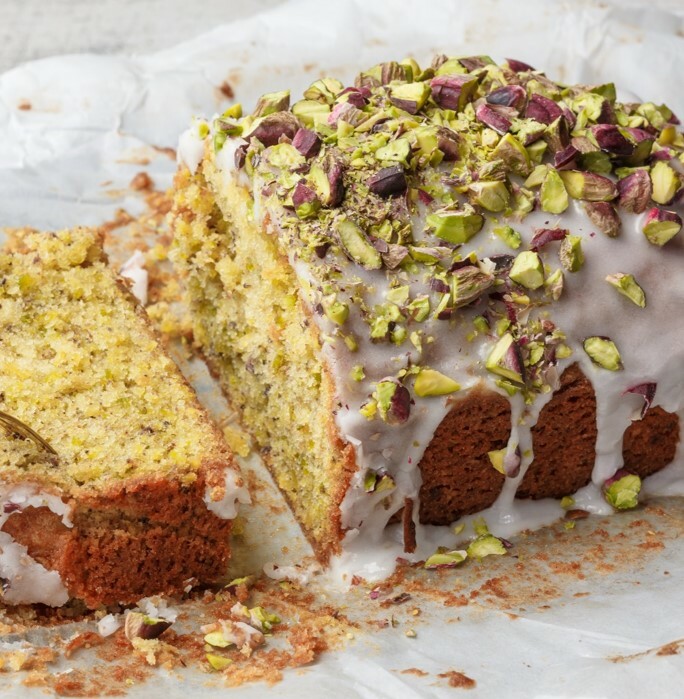 Why not try out this delicious Pistachio cake. It's full of fragrant flavours and sure to go down a treat. Arrange oven rack in middle position and preheat oven to 350°F. Butter 9-inch-diameter round metal pan and line bottom with waxed paper. Using food processor, pulse pistachios until finely ground, about 40 seconds. (Do not overprocess, or mixture will become paste.) Add flour, baking powder, cardamom, and salt and pulse briefly to combine. In small bowl, combine milk and vanilla. In large bowl using electric mixer at moderate speed, beat together butter and sugar until light and fluffy, 1 1/2 to 2 minutes. Add eggs 1 at a time, beating well after each addition. Reduce speed to low and add pistachio and milk mixtures alternately in batches, beginning and ending with pistachio mixture and beating after each addition just until combined. Add orange zest and beat just until combined. Spread batter evenly in pan and bake until wooden skewer inserted in center of cake comes out clean, 30 to 40 minutes. Cool in pan on rack 10 minutes, then run knife around cake to loosen and invert onto rack. Remove paper and serve warm or at room temperature with vanilla ice cream or whipped cream.